Filing the right tax form is often a process of elimination. 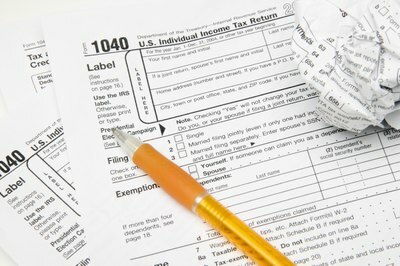 A married couple with no dependents may file their federal taxes using any one of several forms. While it can be difficult to decide which form to use, some couples may find themselves automatically excluded from using certain forms because of things like income level and age. To use Form 1040EZ, you and your spouse must be under 65 by the first day of the tax year and not blind by the end of the previous year. You are filing single or married filing jointly and have no dependents. Your income is only from salaries, wages, tips, unemployment compensation, taxable fellowship grants and scholarships, Alaska Permanent Fund dividends and qualified earnings from state tuition programs. Additionally, your taxable income -- not gross income -- must be under $100,000 and you may not have earned over $1,500 worth of taxable interest. You cannot use Form1040EZ if you are a Chapter 11 bankruptcy debtor, filed after October 16, 2005. If you use Form 1040EZ you may not claim any of the credits or deductions available to filers of Form 1040-A or Form 1040, such as education credit, health coverage credit or deduction for educator expenses. You may use only the standard deduction. 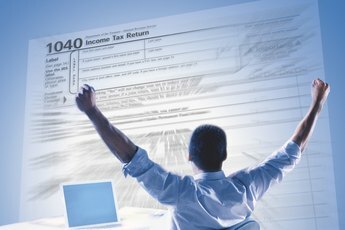 To use Form 1040-A your income must be only from salaries, wages, tips, interest, ordinary dividends, taxable fellowship grants and scholarships, annuities, pensions, IRAs, taxable Social Security, taxable railroad benefits, unemployment compensation and Alaska Permanent Fund dividends. Your taxable income must be under $100,000 and you are using the standard deduction. You may have some income adjustments, such as an IRA deduction, educator expenses, student loan interest or fees and tuition expenses. Form 1040-A allows you to take some credits such as education credits, the Making Work Pay Credit and credits for contribution to retirement savings. 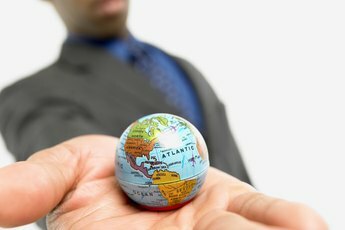 You are required to use Form 1040 if your taxable income is over $100,000 and you received certain kinds of income such as self-employment earnings, nontaxable distributions, income from a partnership or as a shareholder in an S corporation or are the beneficiary of a trust or estate. The advantage of Form 1040 is being able to itemize deductions and take any special deduction that might benefit you, such as losses you may have incurred in a federally declared disaster area. Start by eliminating those forms for which you do not qualify. Use the form that results in the lowest legal tax liability. You may need to complete two or more forms to determine which is the best form to use. IRS: Topic 352 - Which Form – 1040, 1040A or 1040EZ? Daily Finance: 1040 Tax Forms: Which One Should You Use? Which Tax Form Should I Use for Filing Married Jointly? 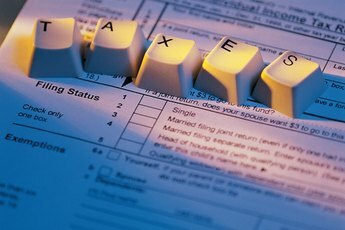 "Which Form to Use to File Federal Taxes for Self Employment Income Under $5,000"
How Do I Prepare Taxes When Married and Filing Jointly? 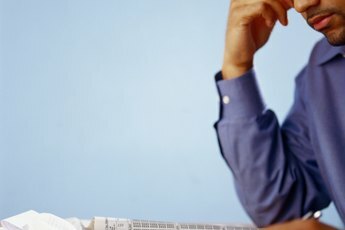 Do I Need to File Taxes If I Was Unemployed?